It 's been so long since I have posted... I almost forgot how to upload photos! 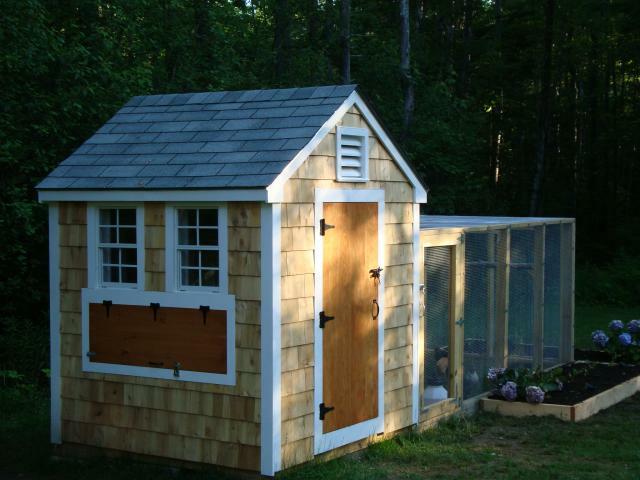 We are finally going to tackle the chicken coop and garden shed project. I have been collecting photos for quite a while and I like so many different coops it's hard to pick a favorite. We have decided to use cedar siding and redwood for the coop and some old windows and doors we have saved from our remodeling projects. The roof will be galvanized metal which will be good because the coop will be located under some big oak trees. 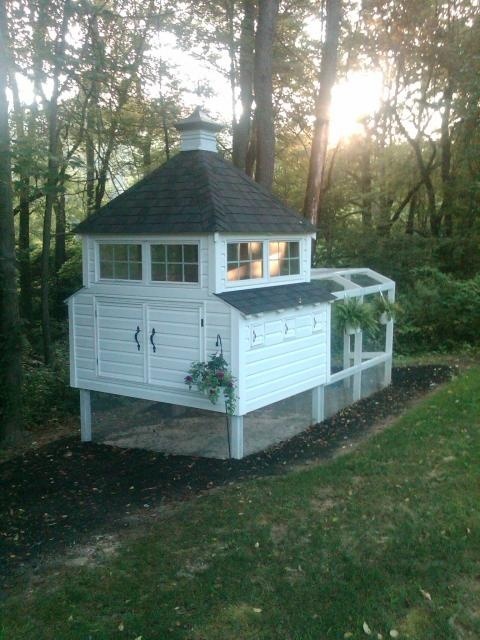 Heather Bullard built this one and I purchased the plans from her....It is so cute! and has little candle lanterns...very nice don't you think ? 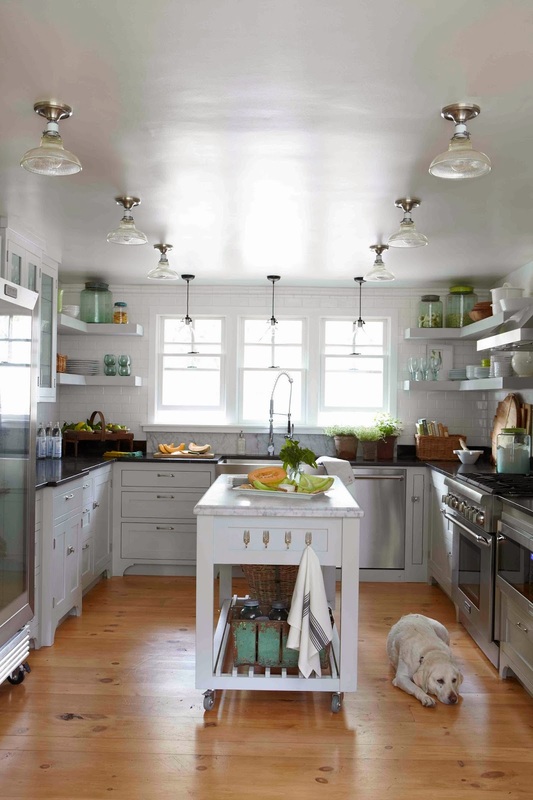 I like the idea of painting the trim a color maybe green or black or white...maybe even red! I'd love to hear your advice! oh my word - how completely gorgeous!! will you adopt me as a baby chicken to come live there??? ha! Kelley, It sounds as though you are really doing your research, which is great, so you may already know this, but buy the very best wire fencing for your coop, nothing that predators can gnaw through. I never had chickens, I had guinea fowl, but keeping them safe from all the animals that would like to eat them is the toughest part of the process. Sometimes people will even bury the wire so that animals can't dig tunnels. Good luck! Everything else you have accomplished/built is so lovely that I am sure this coop will be a stunner! 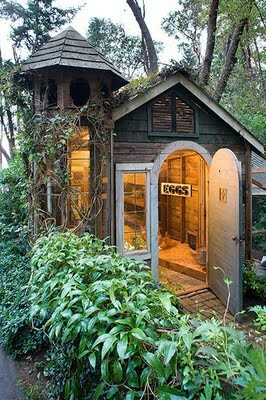 Yes we can all live together in the coop! Hi Suzy...yes I will do my best to keep the chicks safe. 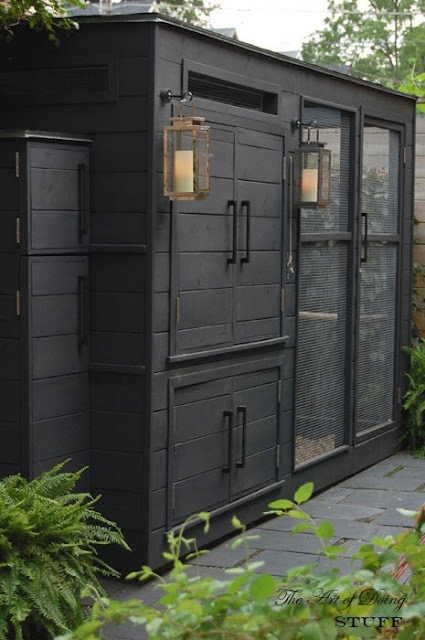 We are going to put wire and filter fabric under the coop...I have heard so many crazy stories about chickens that I waited until now to take the big leap! love this post. some of the most inspiring coops I have ever seen. It's still on my "to do" list! Any one of those would be a great addition! Welcome back Kelley! I prefer to buy my eggs from the locals, so I'm no help on building or maintaining a coop, but I know yours will be lovely! Kelly, the coop is going to be fabulous. They look like club houses. Very cute! Look at all of these wonderful coops, how fun! 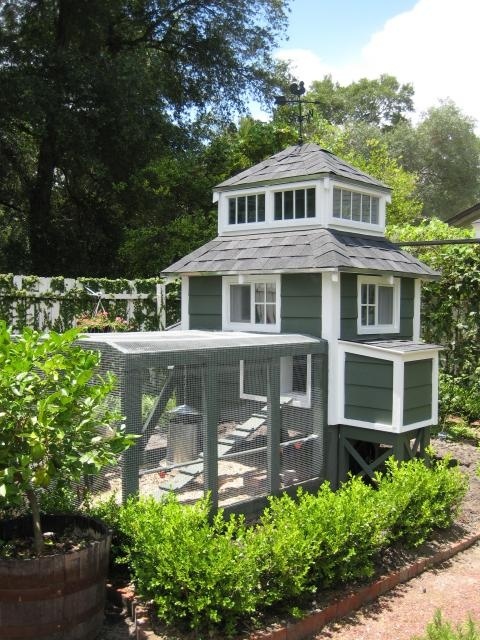 I friend of mine built a coop with an herb garden for the roof, it's very pretty and softens the structure. But I love your idea of a galvanized metal roof. Can't wait to see what you'll come up with....it will be so great!! 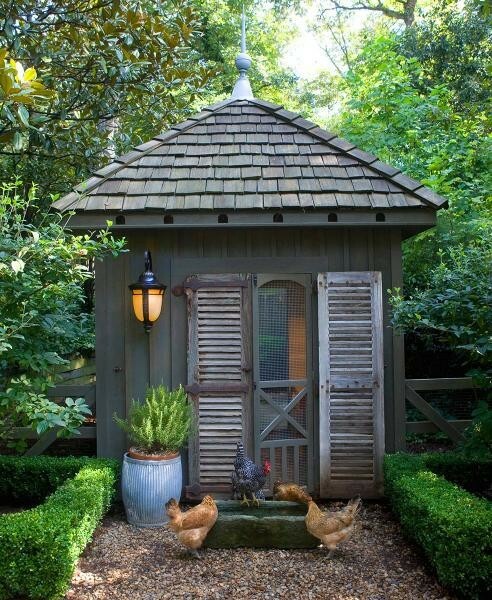 Love chickens and their stylish homes. I really like Heather Bullard's coop but there are details on some of the others that are tempting. I know whatever you decide to build will be great. Can't wait to see it. I can't wait to see what you come up with. I know it will be amazing! I have thought about chickens over the years but am trying to simplify in my old age! I will live vicariously through you! I love chickens, especially the two Rhode Island Red hens that consistently revolve through my chicken house. Chickens live about 5 years so the first generation passes away to be replaced by another set of girls. I started my chicken adventure when I was on a drive through Georgia. I bought two day old sexed pullets. No cockerels for me. Those suckers start crowing when they are 6 months old and disturbed the entire neighborhood. So here I am withn2 baby chicks when I register for the motel. The desk clerk came to fix a lamp that didn't work Lin my room and said "Are those chickens?" I explained that I was an environmental protection agent and I used the chickens just like miners used canaries down in the coal mines. The desk clerk shook his head but he let me keep the chicks in my room. OK, it was a bald faced lie but I couldn't take the chance of leaving them in them in the car overnight! Continued from above. The girls live in a moveable coop. 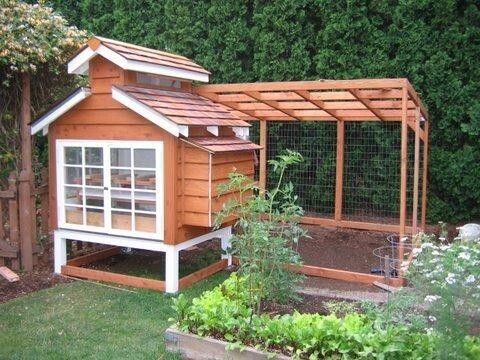 It has a roof and three solid sides with the forth side that opens made out of chicken wire. On one end are two wheels and on the other end are two handles, like a wheelbarrow. This lets me move the girls around the garden and I don't have poop to clean up. The re is a nest and a perch in the coop, the floor is chicken wire so the dropping fall through. I push the coop in the sun or shade depending on the weather. In winter the girls go in the small greenhouse. There is a light on a trimmer. Egg laying is triggered by photoperiod. I love watching the girls. They are so happy. They scratch up some dirt and take dust baths. They scratch around the bushes for bugs. Life is easy and pleasant. Because I got the chicks as day olds they imprinted on me. The imprinting takes place in the first 3 days after hatching. So the girls follow me all over the yard and will hop up on the arm of a chair I'm sitting in outside to visit. Those free range eggs are to die for. The yolks are not yellow they are orange, thick, and luscious with flavor you forgot eggs had. I'm so glad to be able to share my love of poultry with someone. Good luck. But depending on your source of chickens keep the lice powder handy! I stayed at a bed and breakfast goat farm in south Texas one time, and it had the cutest chicken coop with the prettiest old windows with pastel stained glass and iron work. The stained glass was beautiful. So many possibilities. I like the chickens that have the pretty black and white polka dots feathers. Have fun! I look forward to seeing your design! 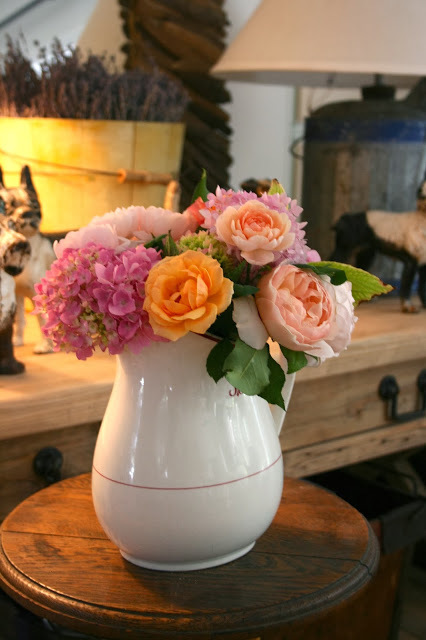 I really love Christi's pinterest board with all of her coops! If you have a minute check it out! Thank you Ann for all of the great information, especially about imprinting, I will keep that in mind when I go to buy the chicks. I will keep you updated on my coop progress! 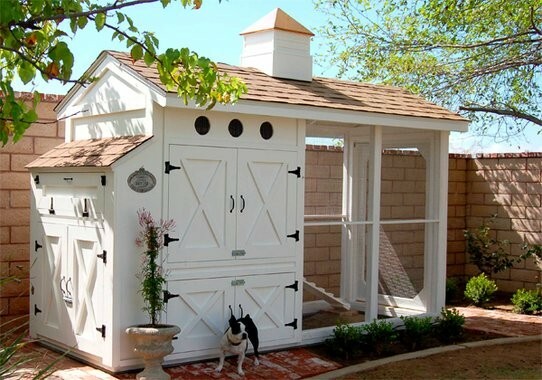 You have chosen the perfect spot for your hen house! 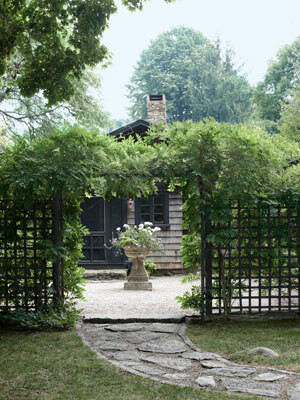 It's fun to see all the variation with regards to the scope and style of these little houses. Chickens are lots of fun and you will enjoy the fresh eggs!! They almost look the same as my house. One will be mistaken as their residence. 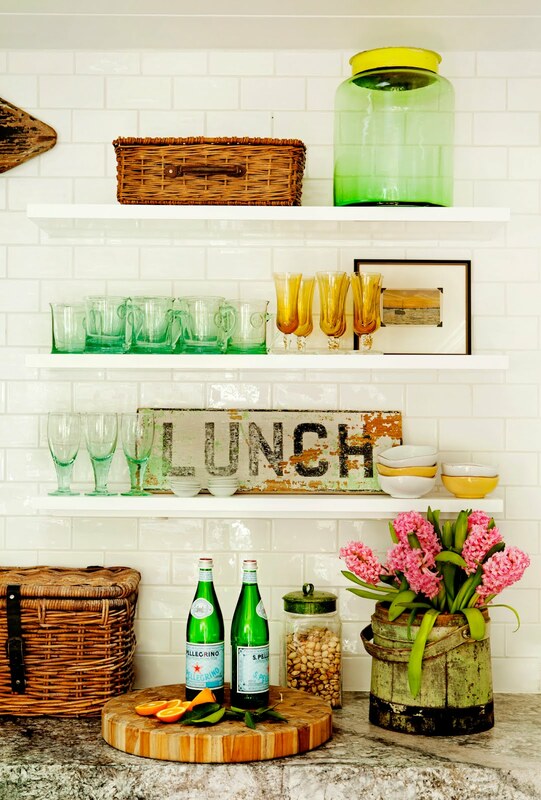 Creative and unique.